Post subject: Got this beauty in the mail today! Arrived a heavy parcel from Japan today! Of course the shipping cost more than the actual item, but couldn't let it pass. 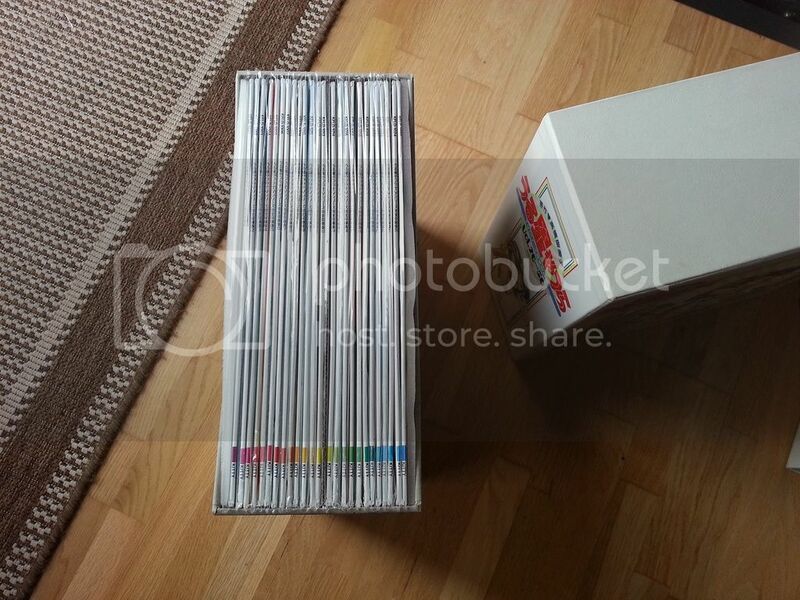 It is in pristine condition, all the discs are sealed as well. Original shipping box too! 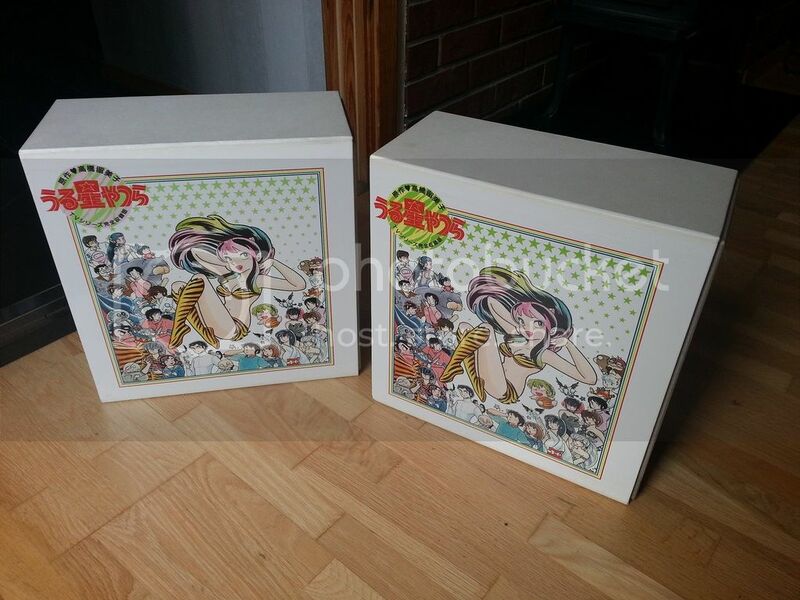 Quite impressive really, as I've read this set is prone to bad stains and even mold! Already have both the Japanese and US releases of the movies, as well as the OVAs and a couple of music/karaoke discs. 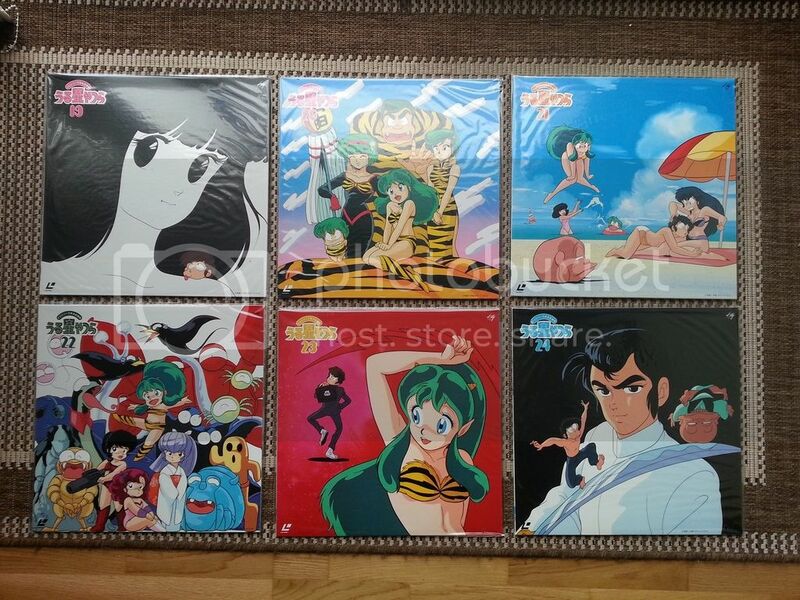 This set is a nice piece to the Urusei Yatsura collection. Now I'm just missing the US release with the 38 first episodes, but seems to be really hard to find. If anyone know about one for sale, please let me know about it. I'll let the pictures speak for them selves. Thanks for sharing those pics. That is a gorgeous set!!! Looks like it made the long journey unscathed. 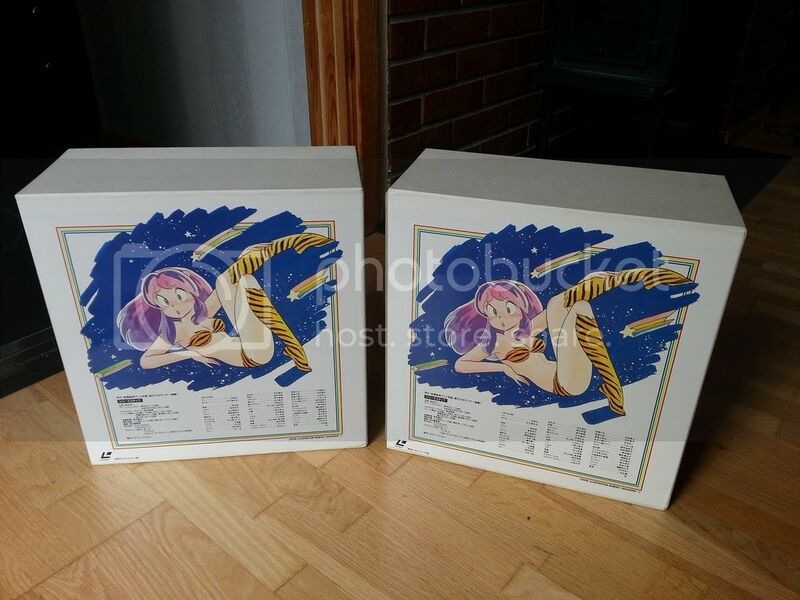 Yes, it were shipped inside the original shipping box and were stuffed with extra padding. Then it were put inside another box. Double boxing is bullet proof. I can imagine the weight. The customs isn't really a problem. We have to pay 25% VAT on goods with a value over 350 NOK (37 EUR/42 USD, total including shipping and insurance cost). Yeah, we have to pay VAT on the shipping cost as well, unless it is a gift. Very stupid. 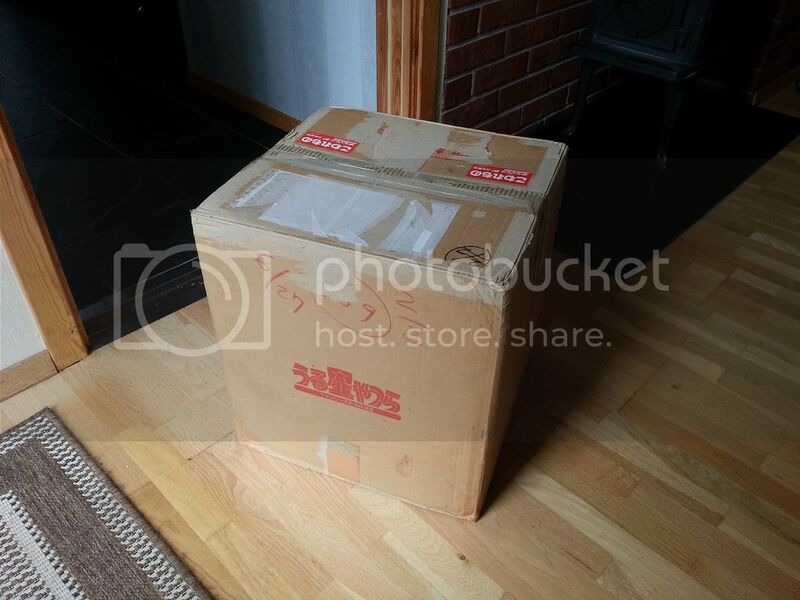 If the shipment is declared as a gift, then the limit is 1000 NOK (107 EUR/122 USD, without shipping and insurance). Of course this was shipped as a gift and declared with a value of 100 USD. Below the limit, but still not a ridiculously low value that the customs will rise an eyebrow over. The weight were 25kg, or 55 lbs. Quite heavy! So, is it KFLD-1001~1050, or a different catalog number? I am missing the shipping box on mine, but I can live with it I guess. that's awesome. I was able to find the first volume of the TV Series on VHS for 50 cents. 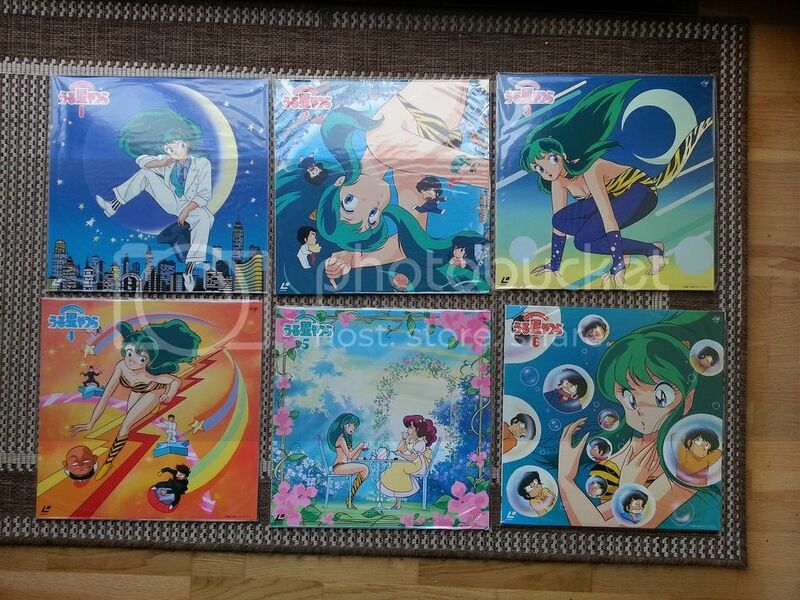 I wish someday to get all of it like Maison Ikkou but some things seem almost impossible. It is the KFLD-1001~1050 set. Was it released more than once with different catalog numbers? 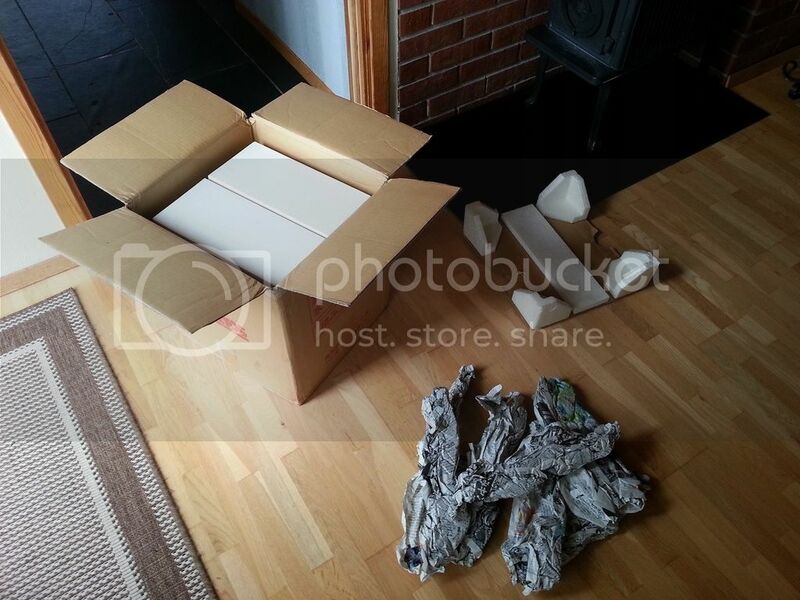 The shipping box isn't in the best shape, as you can see in the first picture. うる星やつら is still intact on the box and the styrofoam too, which probably is the most important thing. Don't know if the box gives it more value, or the fact that the discs are still sealed. I'll probably open up some discs some time if I feel like watching it anyway. That's really cool! I actually want this show on DVD, but seems it is very expensive. Didn't think it were so extremely high demand for this show to drive up the prices that much! This LD set is really cheap in comparison to the DVD prices. Maybe I should give VHS a shot instead. it might be hard to find online for cheap or at all since I randomly found in a bookstore here. 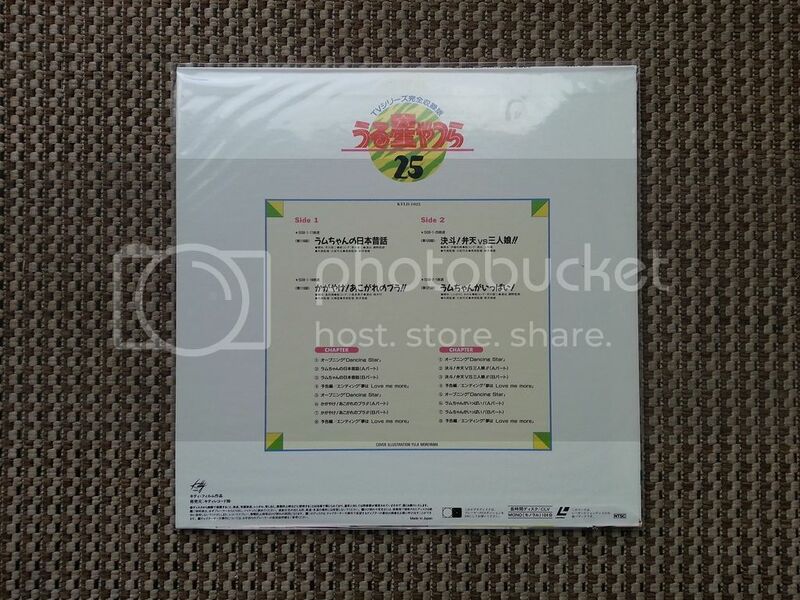 I still need to get the LD50 to put next to my copy of the Maison Ikkoku LD24. Bigger is better with laserdisc, and the LD50 delivers in sheer mass and great original cover art for each disc. Yes, I were quite surprised that each cover had its own artwork. I expected something very generic. I think this box set still can be amazing just to look at long after the players have stopped working. 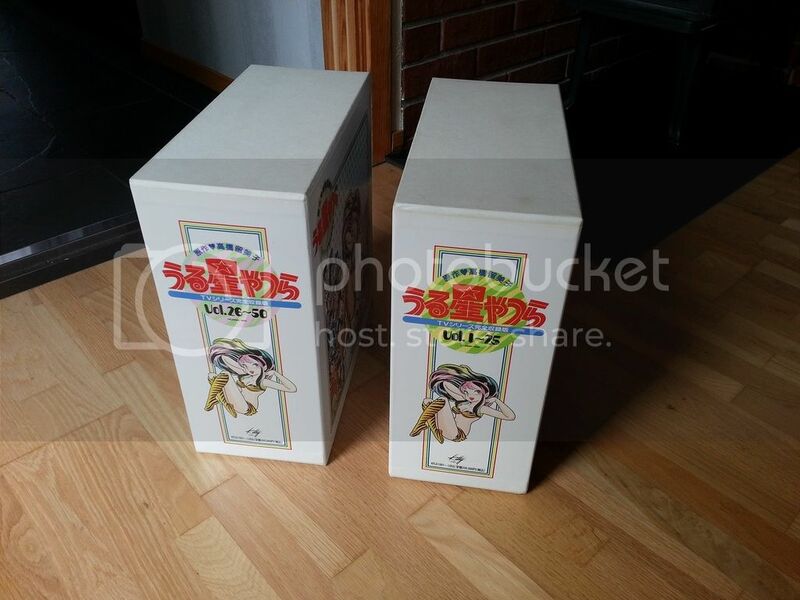 The suggested retail price on the box (330.000 yen) is still today a ridiculous high price. I got mine for a fraction of that price, thankfully! I totally agree, bigger is better! 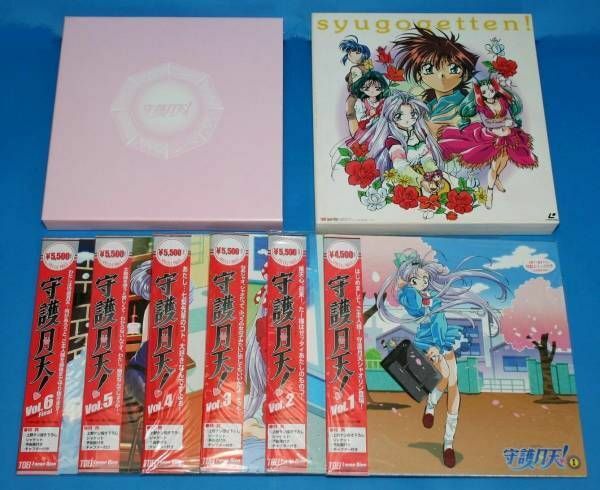 I will probably with time get a Maison Ikkoku set too, but currently my aim is Neon Genesis Evangelion. When I saw pictures of that movie box set, I fell in love with it immediately. Probably the most elaborate box set ever released on the format, or maybe even on home video in general? that would be... Impressive to Own. That one is indeed a tad bit more modest. Nice looking set, though! Haven't seen that show, so added it to my "to do" list now. 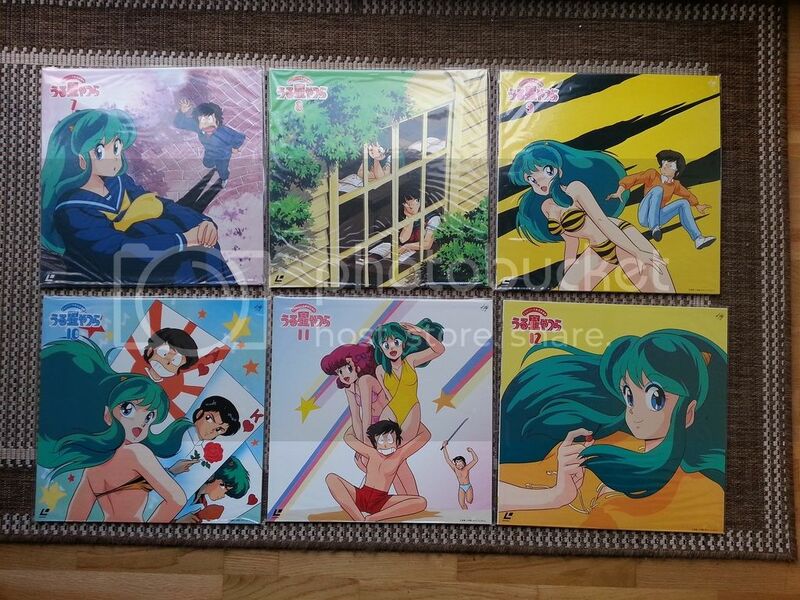 I don't have a very special connection to Urusei Yatsura, not something I grew up with. I belong to the Pokémon generation, hehe. 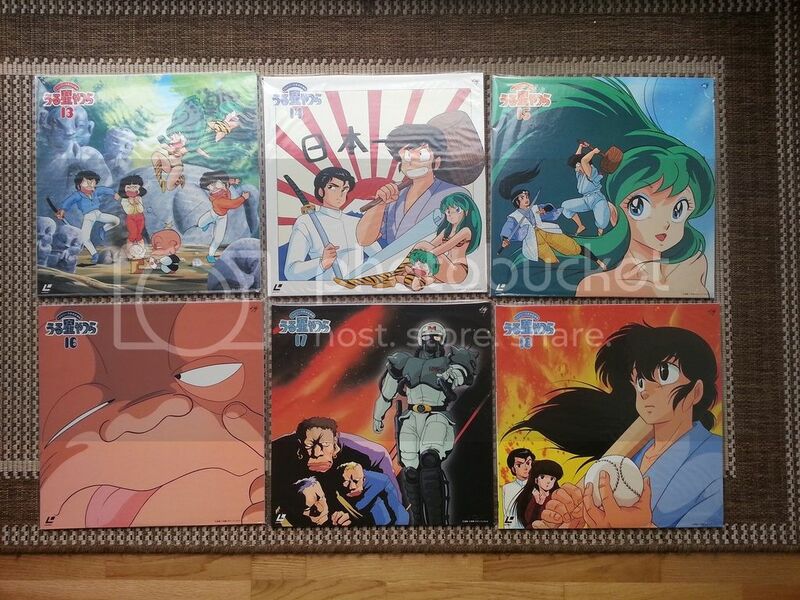 Urusei Yatsura is something I've discovered during the past year that I started to get into anime. I like the show very much. Would like to own it on Blu-Ray, but doesn't seem like it has been released as Ranma 1/2 did. The old DVDs are really expensive too, a lot more than this LD set, so figured I might as well just get the LD set as it is more collectible. Really stands out on the shelf. A lot more eye catching than DVDs. "[Released in 1987 and 1991, and now in 1994. Contains all 218 episodes.]" On top of that there is also PCLA-00150 from the year 2000. So it could have been released 4 times, with four different catalog numbers. PCLA-00149 and KFLD-0001~0024 are in the database. I see! Guess they're all the same anyway. Unless one release is prone to rot. My main hobby is collecting vintage game consoles and computers. There, games with different revisions or region codes can have some serious price differences. Though, this probably doesn't apply to LD collecting? Took pictures of the 25 first LDs, I'm sure someone would like to have a look. Don't think it is too many pictures of these around the web. Each cover has its own artwork, which is just really cool! The back sides are plain with episode name and chapters, as you can see. I apologize for the poor picture quality, don't have a proper camera at hand, nor optimum light conditions! This could either be a set of 50 individual discs which were available as well - or it could be the PCLA-150 set if it has a box. Price offer is possible for this, could be interesting for US residents.